Truthfullyblessed | Live Purposely For A Purpose!!! Truthfullyblessed – Live Purposely For A Purpose!!! UN-PERFECT BUT STRIVING TO BE FOR THE LORD!! Staying On The Righteous Path. I’m in a place where I really thought I was going crazy. Besides me being pregnant with my harmonies raging, I just turned 30 and my emotions and attitude is having a fit. At this time it’s hard to control them, everything and everyone is irritating and I can’t stand the site of most of them. Then I began to feel bad and all I want to do is help them, love them, and keep them close (I know confusing). I also quit my job with no income or anyway to pay any of my bills. I know not a very smart move But all I can hear God saying is I got you daughter, just trust me! I don’t know how He’s going to do it but I do know that He is the only person I have for help. I am suffering and every area of my life and I know God is the only reason I haven’t went insane. I can’t tell you how I’m going to pay rent, I have a husband who can’t really get a job and the jobs that has been offered to him he has turn them down. For some reason I feel bad for quitting my job because it seems like he is frustrated and angry. It make me want to go and get my job back but I also feel free from worry and stress, even though I don’t know what’s going to happen I have a peace in me that I need in this time of my life. I know God doesn’t just drop money, clothes, and food out the sky but in His word Mathews 6:31 say don’t worry about what I should eat drink or wear to seek the kingdom of God and all His righteousness, and all these things shall be added unto me. From this point on I will seek God whole heartedly and all His righteousness, I will pray, fast unto the Lord, I will read and study the word of God so that I will not miss His instructions. I want to do His will and His will only, I want His will done in my life and the lives of my family members. I am tired of living without a purpose, I instructed people to live purposely for a purpose. To pray and seek God with all their hearts and I haven’t been practicing what I preach! I’m ready for a mighty move of God in my Life, I’m tired of being a sometime Christian an only when I need something prayer warrior. Sunday service worshipper and a Wednesday and Friday spiritual speaker! I am determined to become the person God created me to be. I have no other way to go, no one else to run to, that I know for a fact can help me. I do not know anyone who will keep my every secret, someone who want to take on my burdens and who can heal my pains. Someone who can help me love everyone with all my heart and soul as God has command me too, someone who will give me my hearts desires If I follow them, someone who can turn my bad into good to help other people. All I want to do is be all that I can in Christ. It is not easy but I am going to keep pressing toward the mark. I am never going to stop building and working on my relationship with God. I pray that God never stop working on me, in me and teaching me to be all that He has created me to be. 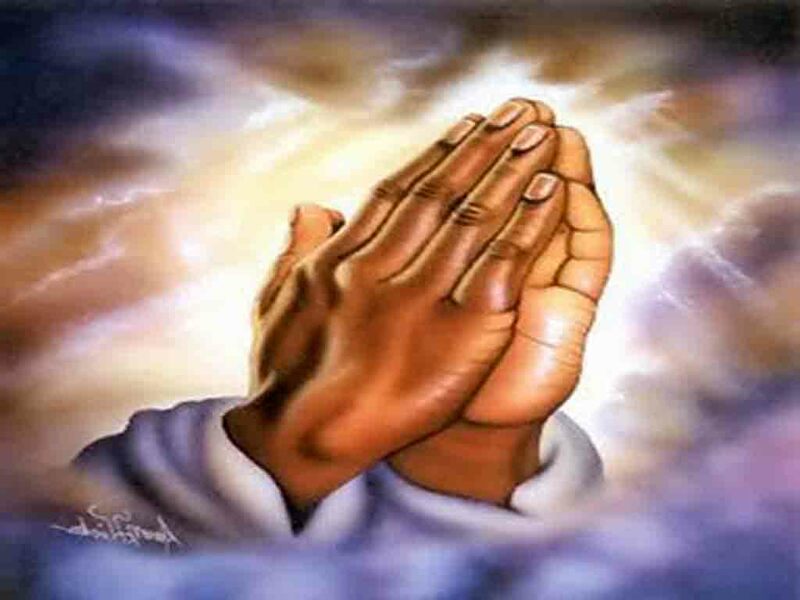 I pray that God give me the spirit to pray without ceasing, the spirit to worship and praise at a drop of a dime, a double portion of the faith of Job and the obedience of Joshua. The confidence of Joseph so that when I fall short because I know I will, My Godfidence will always remind me that God is there and would never leave or forsake me! Knowing this helps me to never stop striving for what God has for me. Believing in His word, having faith the size of a mustard seed, trusting Him with my life is all I need to succeed, to grow in grace, obtain knowledge and wisdom all the while understanding who He is and loving Him because He loved me first!!!!!! I am not perfect and I’m still a work in progress but I know with God I will be just fine!! Thank you God the father of my Lord and Saviour Jesus Christ!!! +THANK YOU GOD, THE FATHER OF OUR LORD JESUS CHRIST! I FIRST WOULD LIKE TO JUST THANK YOU FOR WHO YOU ARE!!!…. YOU ARE MY CREATOR, YOU ARE MY FATHER, MY GOD, MY SAVIOR, MY SALVATION, MY REDEEMER, MY SURE FOUNDATION, MY VERY PRESENT HELP IN MY TIME OF NEED. LORD YOU ARE MY STRONG TOWER, MY MIGHTY GOD, THE AUTHOR AND FINISHER OF MY FAITH, YOU ARE MY COUNSELOR, MY COMFORTER, MY FRIEND, MY LOVE, YOU ARE LIKE NO OTHER, YOU ARE HOLY, YOU ARE THE KING OF KINGS AND THE LORD OF LORDS, LOVING IN ALL YOUR WAYS. MY DWELLING PLACE, MY DELIVERER, YOU ARE MY BRIGHT AND SHINING STAR, MY BREAD OF LIFE, MY FOUNTAIN OF LIVING WATER, AND I AM GRATEFUL TO HAVE YOU IN MY LIFE, THANK YOU FOR CHOSEN ME LORD! I LOVE YOU AND BLESS YOUR HOLY NAME!! We could never guess or imagine what God has for us, because His thoughts are not our thoughts (Isaiah 55:8-9) and no eye has seen no ear has heard, neither have entered into the hearts of man the things that God has prepared for those who love Him (1 Corinthians 2:9). We don’t know what to expect or what might happen to us on this journey of righteousness, so you ask “why do I want to go on a journey I have no control over”; Or I have no idea where I’m going, and what’s going to happen to me”? Well that’s kinda the point! In this life we must realize that we are created for a reason, a purpose even by God our Creator, the sole reason you are here today. The mastermind of your being, your image, your personality, your gifts,… etc was all put together very strategically and precise so that you and all your ways made give honor and glory to the very one that specifically placing every inch of you particular together for His liking. Everything about you He excitedly, gently, intentionally, place together, creating you fearfully and wonderfully made not putting a single flaw in you. Creating you in His image, standing in front of you looking into the depths of your soul so gracefully as if He’s in a mirror. Stamping you with real untainted Love and Joy, and with peace that surpasses all understanding. Knowing you inside and out, knowing the makes you will make and hardships you will endure just because you are afraid of the unexpected. The unknown and unusual being so far from us, not believing and trusting because of what we were taught, how we were raised, and what we think we know. Being deceived by life troubles, blinded by the strong woman syndrome, crippled by the pride a young man think he has to carry to be a man. Not wanting or willing to give up our way of living because it’s all we know. Living in the dark, going through, dealing with hurt and pain, struggling all alone not being able to trust no one, not even ones self. Not having no idea about the truth, ignorant to fact that God our father, the Father of Our Lord and Savior Jesus Christ came so that we may live and live more abundantly (John 10:10). When Jesus left He left us with His peace and not the peace of this world, (John 14:27) so even when life throws a punch and knocks you don’t have to panic because you’re not knocked out. God provides us with Pure Peace, a peace I personally can attest to. You’ll be so in peace that you can actually be going through a storm and not even realize it until it’s over. Yes, I know that it’s unusual and you probably don’t believe me but I have no reason to lie to you. Our God is just that good, He don’t want to see us hurting He love us. He is a present help in our time of need, now I’m not telling you that God has magic and He can just make all your problems disappear over night but I guarantee He will make your life a whole lot easier if you just decide to go with the unknown! Expect the unexpected, want something different for yourself. Stop allowing this world to make you, find out who you are and why you was created, by starting a relationship with God. He know what’s best for you, a relationship with Him will change your whole life. The unexpected is to be expected. God has a plan for our lives and it is far greater than anything we could imagine. He has changed my life completely, He turned my life from upside down to right side up! He’s using my past that I was so embarrassed for His glory, using me to help Him bring His people to salvation. 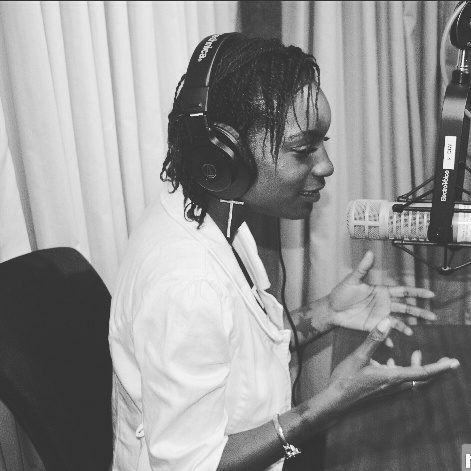 Me hosting a christian radio show, writing about His righteousness and speaking on His goodness and spreading the gospel is all so unexpected. It was unusual and unknown to me at first but after i surrendered to His will He guide me through it all, always by my side never leaving me or forsaking me. Giving me the words to say or write make sure I’m equipped to speak to His people. I’m honored to do the work of the lord, and you will be too………. I PROMISE YOU THAT ANYTHING THAT IS UNEXPECTED WITH GOD IS GOING TO BE THE BEST THING THAT COULD EVER HAPPEN TO YOU. Because the Word is GOD!!!! I have been Crucified with Christ; it is no longer I who live, but Christ lives in me and the life which I now live in the flesh, I live by faith in the Son of God, who loved me and gave Himself for me. So, I give thanks to the God of heaven! For His mercy endures forever. I will trust in the Lord with all my heart; and lean not unto my own understanding. In all my ways I will acknowledge Him, and He will direct my path. For God so loved me, that He gave his only begotten Son, that If I believeth in Him I should not perish, but have everlasting life. He restored my soul: He leadeth me in the paths of righteousness for his name’s sake. Yea, though I walk through the valley of the shadow of death, I will fear no evil: for thou art with me; thy rod and thy staff they comfort me. The Lord is merciful and gracious, Slow to anger, and abounding in mercy. He has not dealt with me according to my sins, Nor punished me according to my iniquities. For as the heavens are high above the earth, so great is His mercy toward me because I fear Him; He heals the brokenhearted and binds up their wounds. He counts the number of the stars; He calls them all by name. Great is my Lord, and mighty in power; His understanding is infinite. The Lord lifts up the humble; He casts the wicked down to the ground. But the Lord is on my side; I will not fear: what can man do unto me? The Lord is my strength and song, and has become my salvation. For I am persuaded, that neither death, nor life, nor angels, nor principalities, nor powers, nor things present, nor things to come, nor height, nor depth, nor any other creature, shall be able to separate me from the love of God, which is in Christ Jesus my Lord. For by grace I am saved through faith; and that not of myself: but it is the gift of God: I will praise thee; for I am fearfully and wonderfully made: marvelous are thy works; and that my soul knoweth right well. For there is not a word in my tongue, but, lo, O Lord, thou knowest it altogether. Search me, O God, and know my heart: try me, and know my thoughts: And see if there be any wicked way in me, and lead me in the way everlasting. 36 “For what shall it profit a man, if he shall gain the whole world, and lose his own soul? 17 and this world is fading away, along with everything that people crave. But anyone who does what pleases God will live forever. So you keep striving and building your relationship with God, no matter whom see’s or believes you’re changing, know that God knows and God is the only one that matters! Your relationship with him is far greater than ANY OTHER relationship on this earth… Plus every wrong decision you make decrease your time on Earth so please choose your decisions wisely! I love you and have a blessed and prosperous day, week, month, and year!!! May God continue to bless you in Jesus name! So that we may speak to you in spirit and in truth. 36 “For what shall it profit a man, if he shall gain the whole world, and lose his own soul”? 17 “and this world is fading away, along with everything that people crave. But anyone who does what pleases God will live forever”. So you keep striving and building your relationship with God, no matter whom see’s or believes you’re change, know that God knows and God is the only one that matters! Your relationship with him is far greater than ANY OTHER relationship on this earth… Plus every wrong decision you make decrease your time on Earth so please choose your decisions wisely! I love you and have a blessed and prosperous day, week, month, and year!!! May God continue to bless you in Jesus name!